What is a Page Group? Each page of the documentation is part of a group. You can use GrazeDocs to decide the group automatically based on the page's folder or to manually set the group. One group can have 1-n amount of pages. 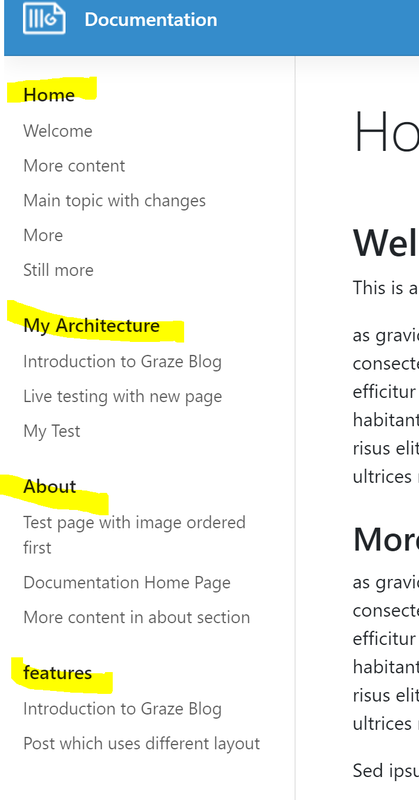 By default GrazeDocs automatically assigns a group for each page based on the directory of the page. 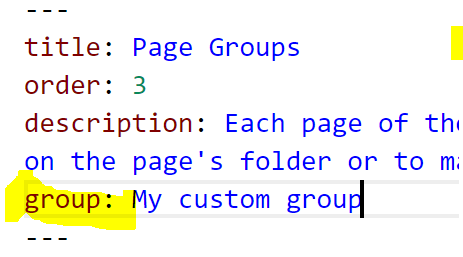 For example if page is in features-directory, the page's group is "features". Key is the directory name so for the root documentation directory the key is empty.